Featured Zimbabwean Performers: Master Mbira player Cosmas Magaya, multi-instrumentalist Jacob Mafuleni and dancer Martha Thom from Zimbabwe; dancer/vocalist Lucky Moyo; Paul Mataruse and Ruzivo; Kurai Mubaiwa; Nhapitapi Mbira Group (Toronto). The Zimbabwean Music Festival is the largest annual celebration of Zimbabwean music and culture in North America. The festival offers more than 100 workshops on Zimbabwean music, dance and culture, many of them for children and teens. Activities include 12 hours of free daily concerts, an African Marketplace, a Friday Night dinner cabaret and ticketed evening concerts. Zimfest features musicians and teachers from Zimbabwe, Zimbabwean musicians living in the United States and Canada and a dynamic group of North American performers and musicians. Concert tickets available at the door; music starts 8:15pm on Friday night, 7:30 on Saturday and Sunday. 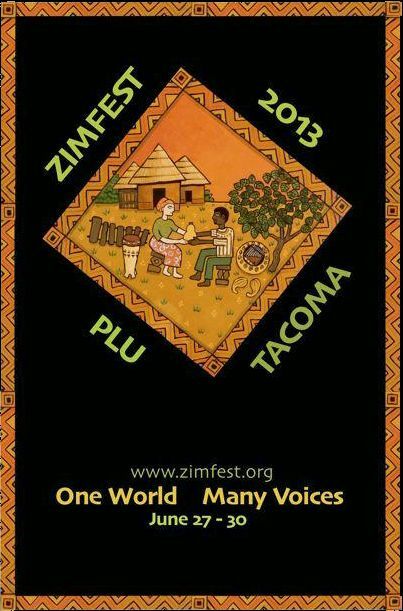 Visit http://2013.zimfest.org for more information.